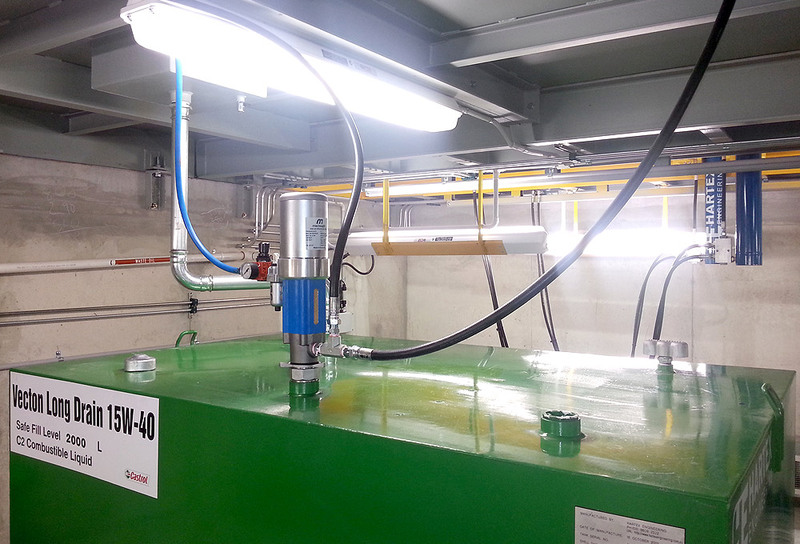 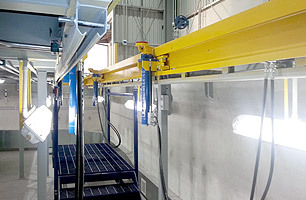 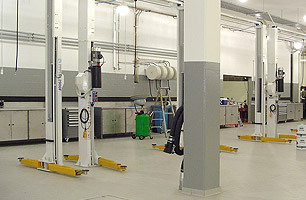 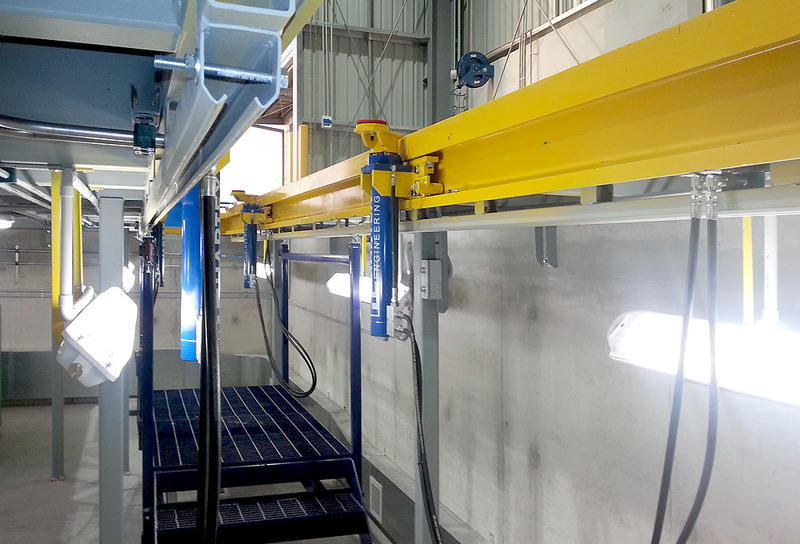 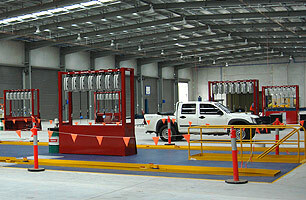 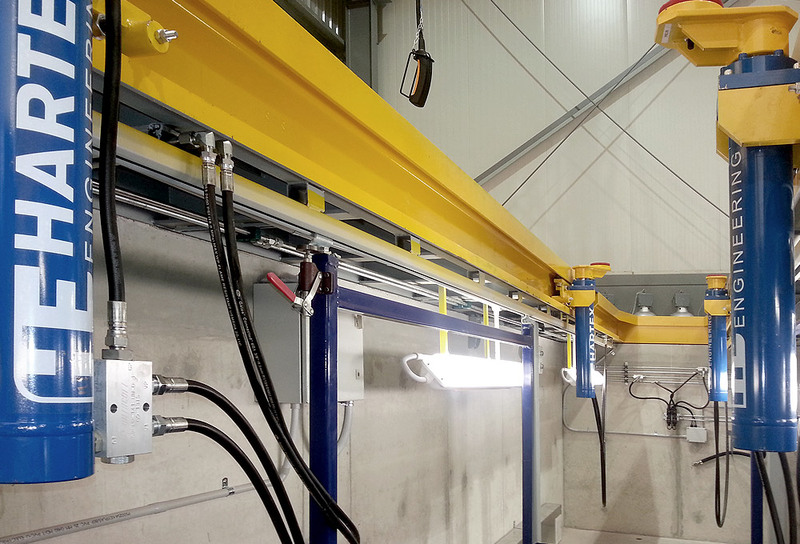 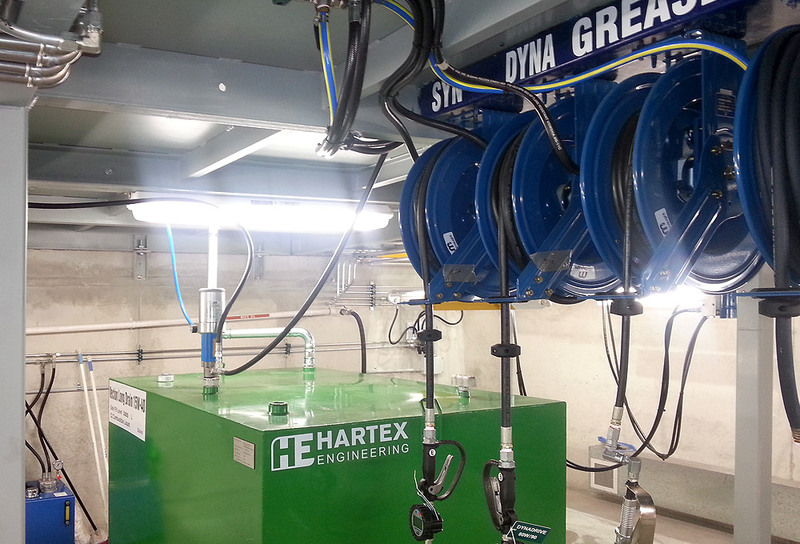 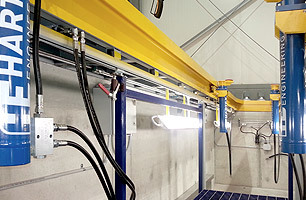 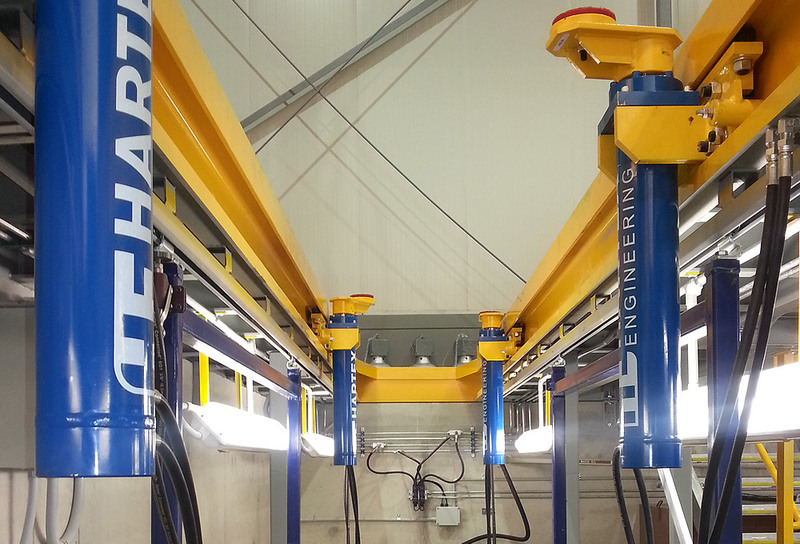 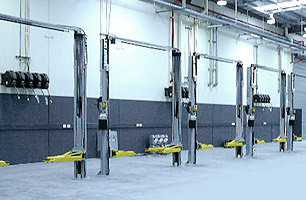 This workshop is equipped with Hartex Engineering’s Suspended ceiling truck service pit, this one specifically designed for servicing prime movers only. 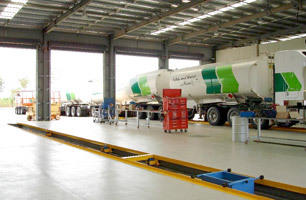 Equipped with 3 service bays 10m long, the large vacant area under the steel deck allows operators to accommodate oil tanks within the pit system, largely removing the need for a separate oil store. 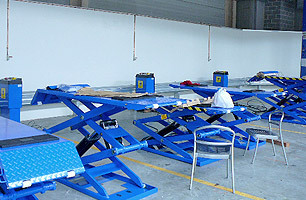 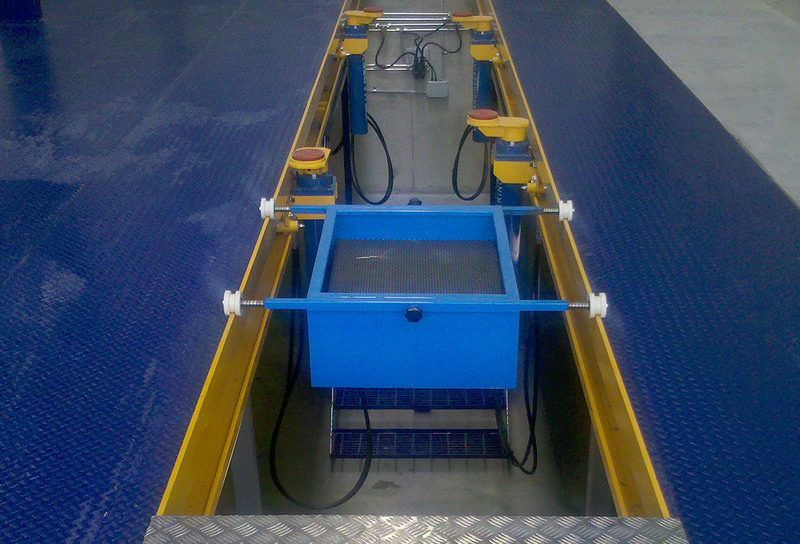 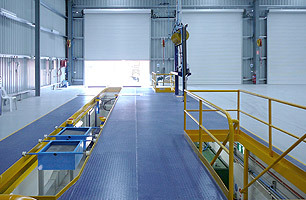 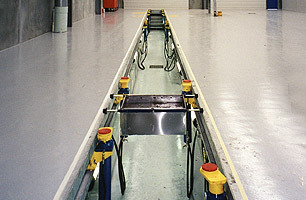 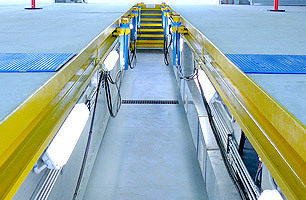 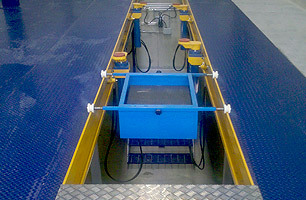 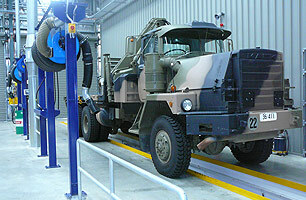 This pit also has travelling work platforms, which are height adjustable. 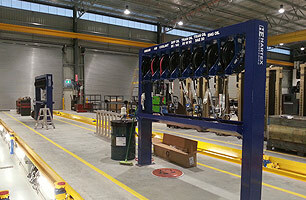 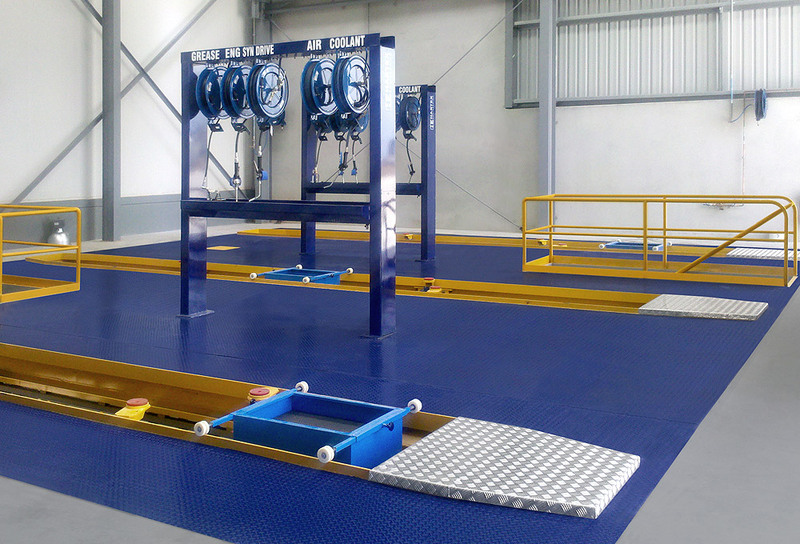 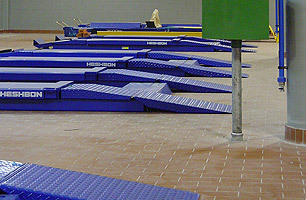 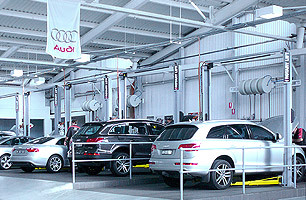 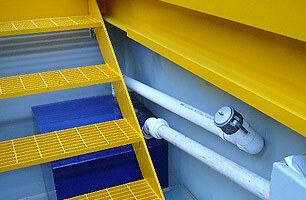 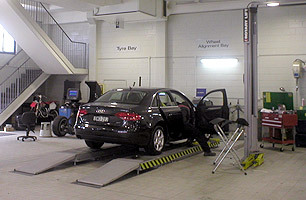 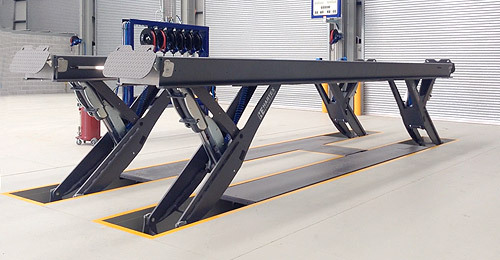 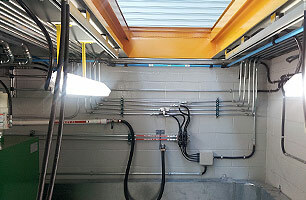 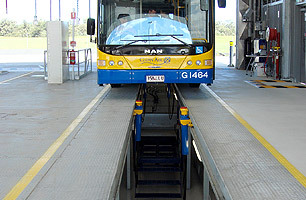 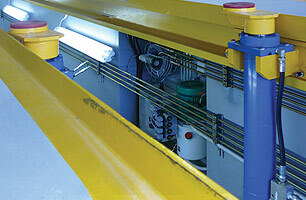 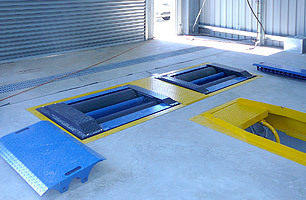 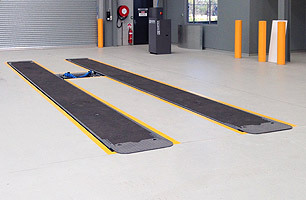 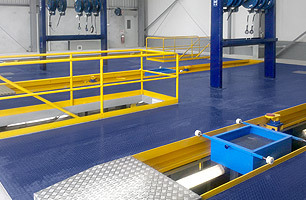 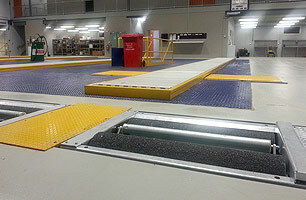 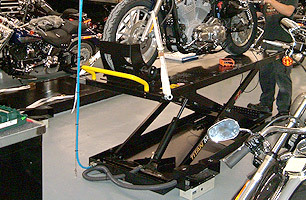 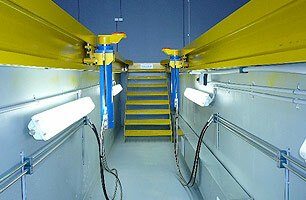 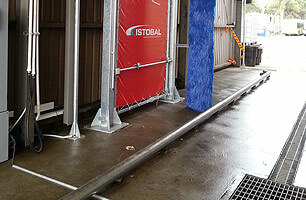 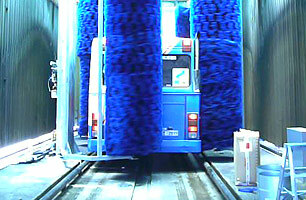 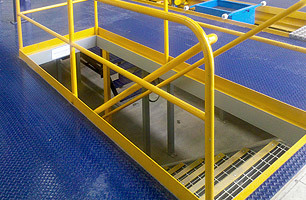 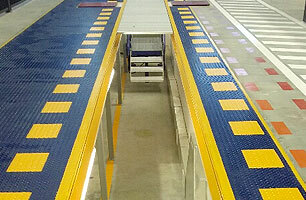 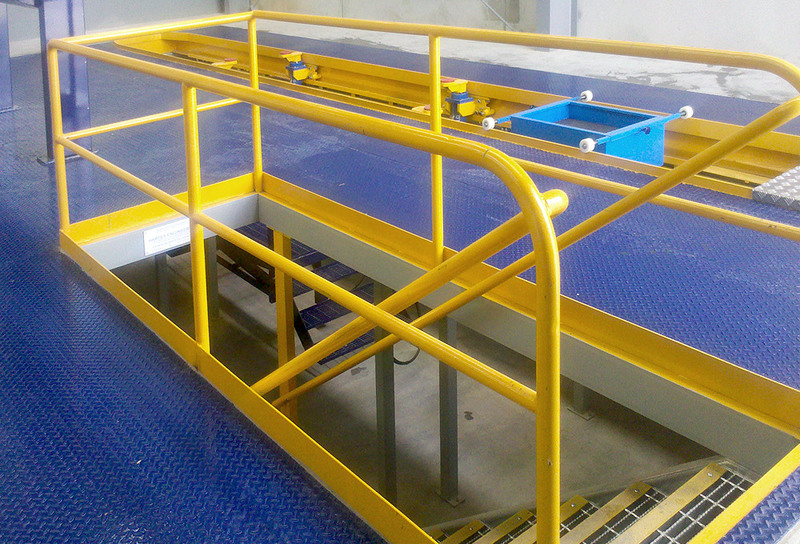 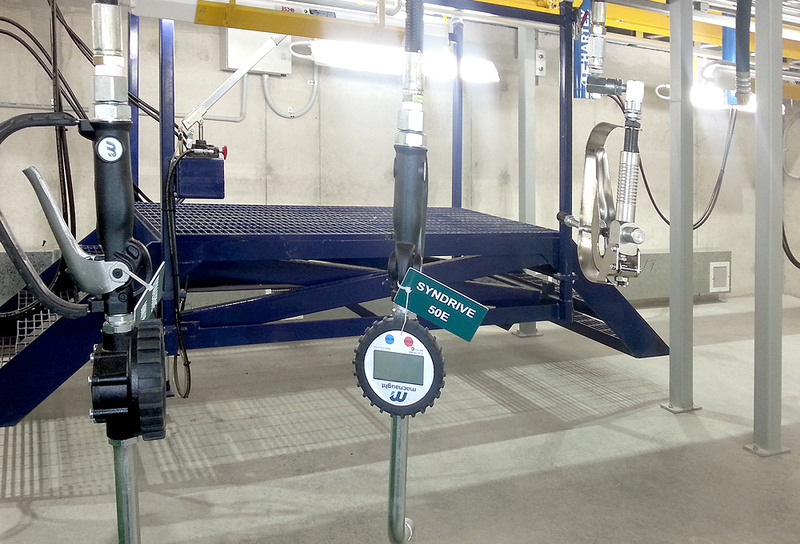 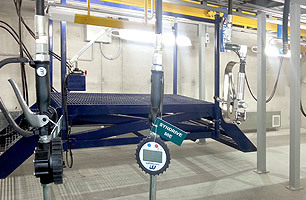 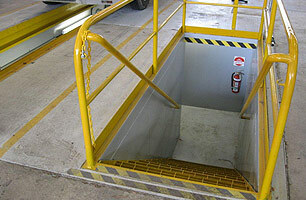 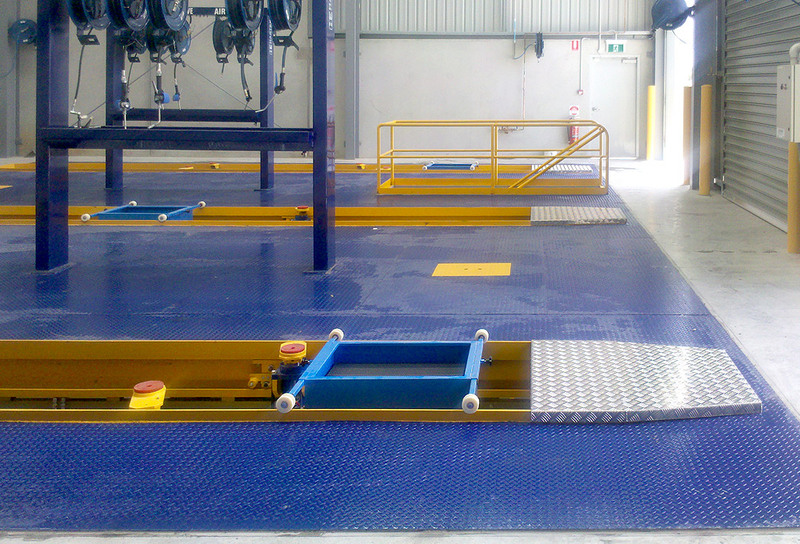 This allows mechanics to adjust the working height of the platform to suit their height or the task at hand. 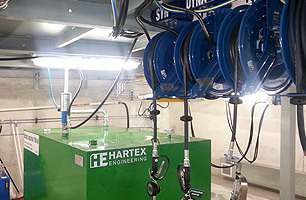 The lubrication pumps and hose reels are from Hartex’s Macnaught range, which offers high quality product at a very reasonable price. 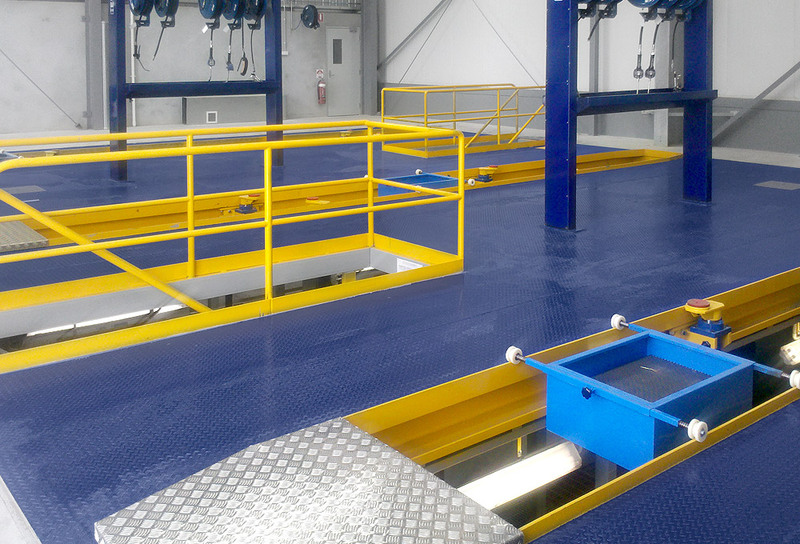 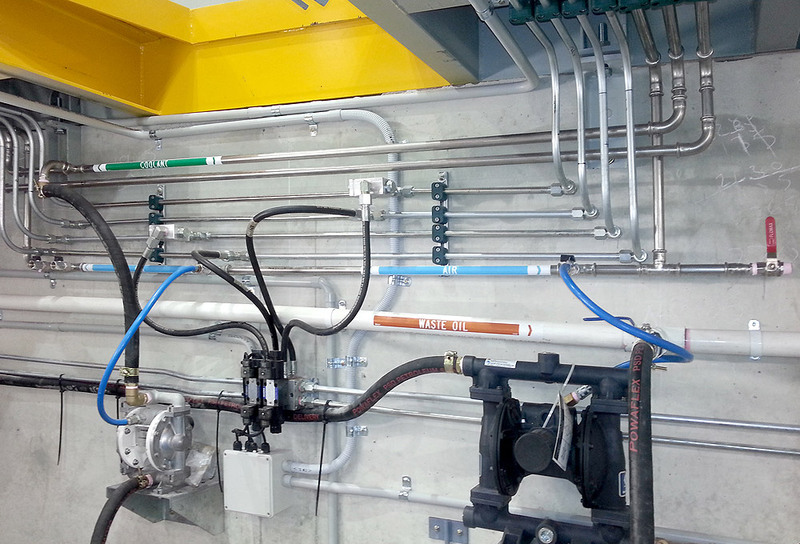 All our pit systems are designed in detail using 3D CAD facilities that allow our clients to visualise what they are getting. 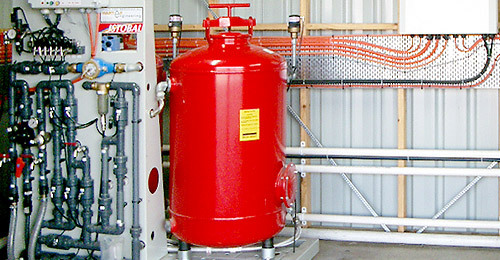 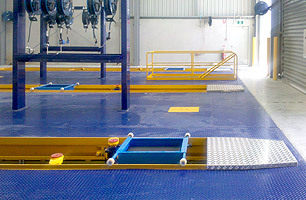 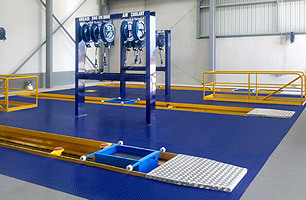 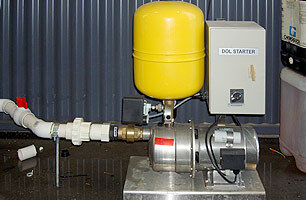 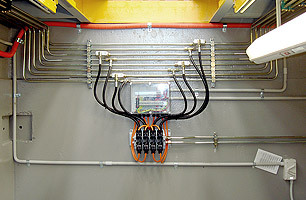 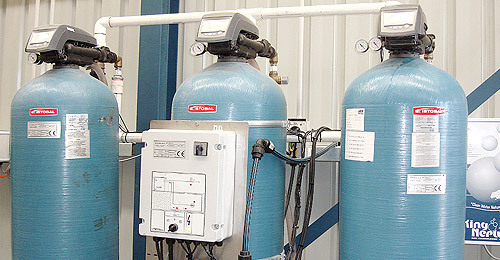 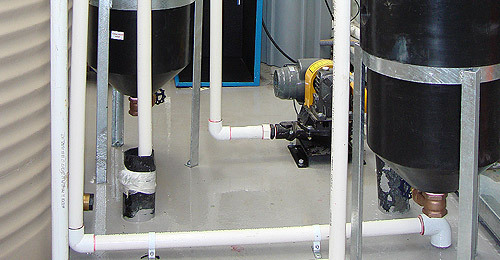 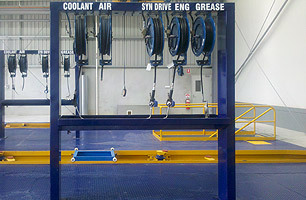 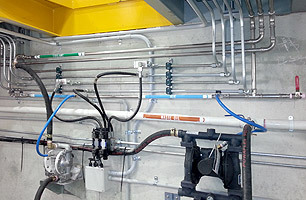 This is usually an exciting phase for the mechanics and leading hands because we can change positions of jacks, or hose reels or tanks etc on a computer screen to instantly gauge the results of that change. 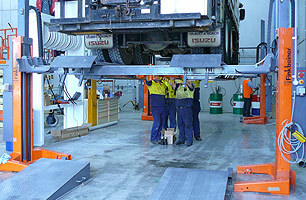 Only when all stakeholders have signed off on these CAD plans do we commence cutting steel. 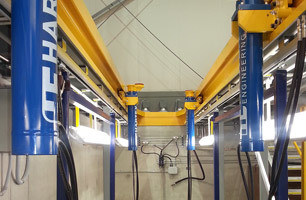 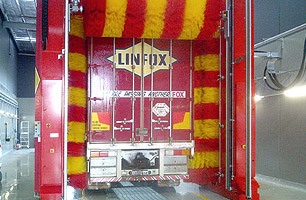 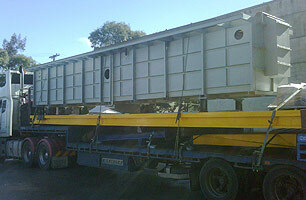 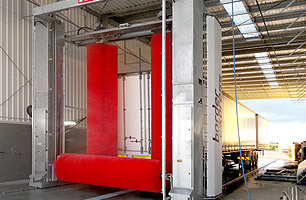 All our suspended ceiling truck and bus service pits are manufactured in Sydney pre-assembled before dispatch to ensure all components fit together to ensure a timely installation on site.